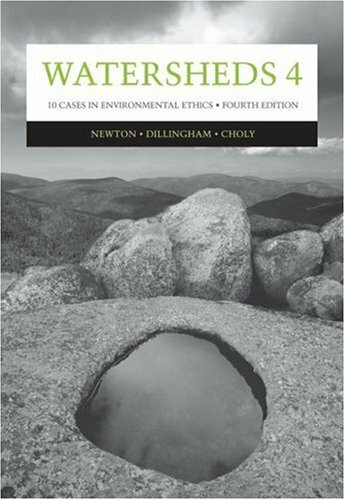 This book is very informative and important for anyone working in the environmental field. This book was for a class I'm taking this semester and all of the articles in it have been really interesting. 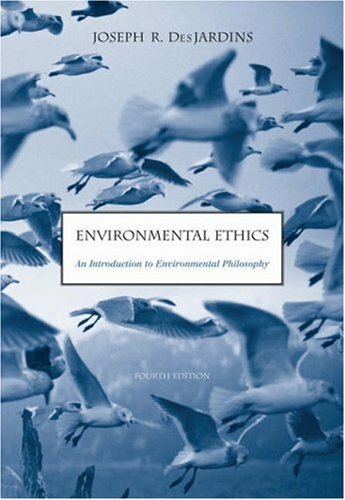 Environmental Ethics encompasses so many different subject areas and this book has incorporates so many different points of view that I feel like both sides of each topic covered have been equally represented. This anthology is well organized and contains a few gems, but many of the articles and book excerpts are terribly outdated, and some read like bad op-ed pieces in a local newspaper.This is unfortunate, since the subject is an important one. The book arrived brand-new, just as promised, and it came in a timely manner. The price was extremely reasonable, too. It took several weeks for the book to arrive and when it did it was, in my opinion, in worse condition than the description claimed. It wasn't dysfunctional, but if you are a stickler for the quality of condition I would be wary or question the descriptions given. Then again, it could have been a one time thing and I was just a little disappointed a chunk of the pages fell out when I opened the book. 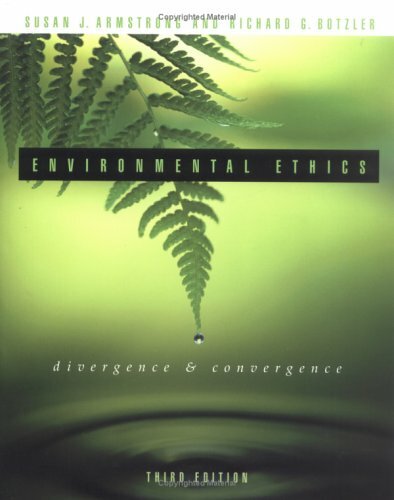 I used this book for years in teaching environmental ethics.I believe it is the single-best text out there for such a class.However, that price is astounding, and for the first time in a decade, I have switched textbooks. 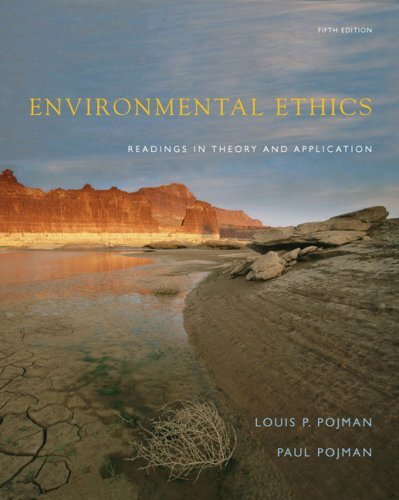 The contents are almost worth it, though, and richly interdisciplinary, collecting together economic, biological, religious and philosophical perspectives.I highly recommend this for those who want to know what a nearly perfect environmental ethics textbook would look like, and who want the best regardless of the price. I lament the necessity of not inflicting such a cost on my students. As the world expands, its natural resources are in more debate than ever. 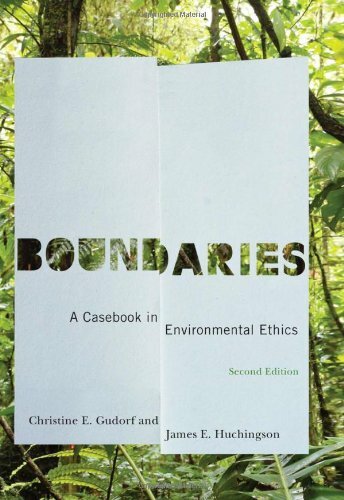 "Boundaries: A Casebook in Environmental Ethics" discusses the current environmental landscape in the eyes of business and the law and how respect for the environment and maintaining its integrity and allowing it to continue to provide for it in the future. But privately owned water, climate change, forests, and more are the topics that will plan the world and its growth in the future. "Boundaries" is an insightful and scholarly read, highly recommended. 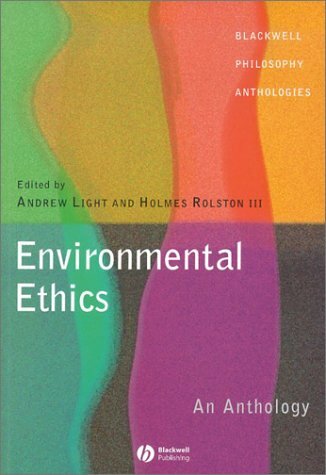 Environmental ethics is an extremely important subject, but it is not best served by squishy articles about deep ecology and ecofeminism.Philosophers from David Schmidtz to Carol Rose have written brilliantly about pollution, climate change, and conservation.Unfortunately, none of these articles are represented in this volume.If you're in the market for a serious discussion of environmentalism, and environmental policy, check out Eban Goodstein's Economics and the Environment.Unlike most of the articles in this volume, it is both sympathetic to environmental goals and clearly written. 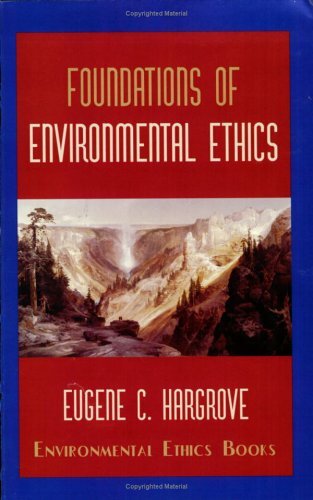 I had to buy this 4th edition book for an environmental ethics class. I find the author's attempt to make the book long enough to be qualified as a text book down right PATHETIC. He adds way too many "big" words and unnecessary sentances. I'm sure he has some good points.But his endless babble will completely throw you off the trial, it's not worth the effort.It is a very difficult to read book, and even my professor admited that each chapter has to be read about 4 times to actually understand that point.Why my professor still uses this book is beyond me.By the way, this book is rediculously priced.I have to take this class for my environmental sustainability degree, but if that were't the case, you couldn't pay me $70 to read it. THIS BOOK IS A WASTE OF TIME. 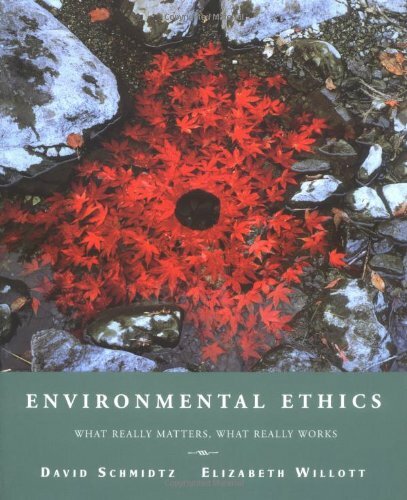 I purchased this book for an environmental ethics class, and found it to be very interesting!The many changes in our environment are truly thought-provoking, and to look at them through the eyes of an ethicist was enjoyable.The reading is compelling, and good fodder for many interesting dinner table conversations. This review is based on the 2nd edition. 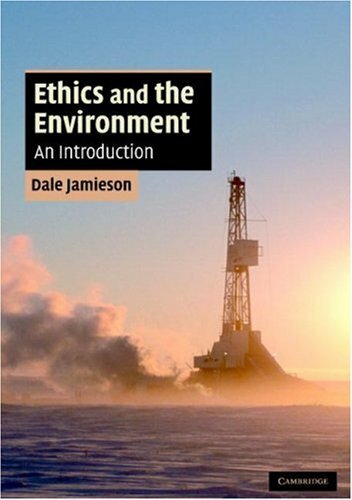 This book presents a good introduction to the major ideas of ethical thinking about the environment. 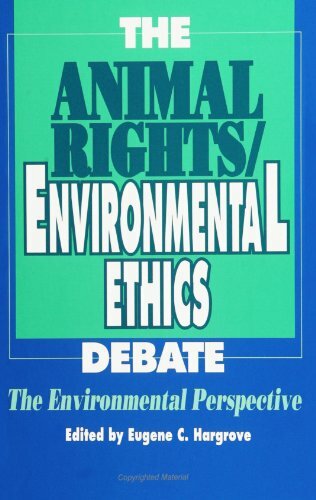 He presents ideas on how rights might be derived as a gradation from purely human interest, rights based on whether animals suffer, and nature with its own right.Throughout the book questions of individual versus community rights are discussed. Each chapter starts with a short essay that highlights some of the complexities; for example whether Mountain Goats should be introduced or eliminated in Olympic National Park. Each chapter is concluded with discussion questions that also help the reader grapple with the issues. He presents many of the major ideas and criticisms of animal rights, energy use, the land ethic, deep ecology, and ecofeminism.Particularly in the areas of deep ecology he presents the diversity of views. Perhaps he is weak in presenting third world views and the impact that "Deep ecology" might have on poor and agrarian populations. 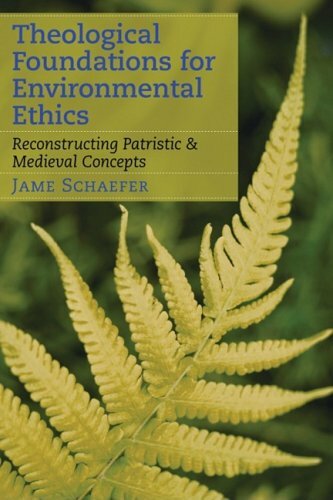 He is lacking discussion of religious based environmental ethics ("Theocentric ethics"). Christian Ecology seeks to develop a stewardship view, and Native American, and Eastern religions center on respect for nature.I think this book works best when read with selections from the authors discussed; for example read some of Leopold's "Sand County Almanac", then read the chapter on "The Land Ethic." Through a series of multidisciplinary readings, Environmental Ethics: The Big Questions contextualizes environmental ethics within the history of Western intellectual tradition and traces the development of theory since the 1970s. A previous reviewer of this book called it "objective," I find that analysis utterly laughable. I purchased this book for a class, if you are doing so as well be aware that the professor very likely has an axe to grind and is wishing to push their views upon you through the use of this book. I am of the belief that a class should be taught as objectively as humanly possible (my criterion for a good professor,) when objectivity is absent the student is essentially being indoctrinated and fed their views as if a baby chick hungrily accepting food from their mother. This book, with one chapter being the exception, is completely slanted--opposing sides of an issue are never presented. In short, this book SUCKED! 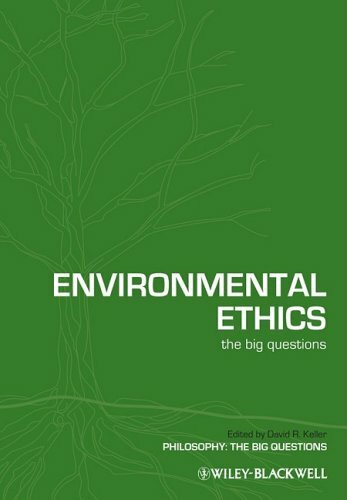 This book discusses various ethical situations regarding environmental issues, which could be rather dry material.However, the author writes in a more down-to-earth style, which makes it more enjoyable.The topics are certainly thought-provoking, and made for many interesting discussions at the dinner table. This is not a textbook. As textbooks go, this is probably one of the worst I've ever encountered. The author distorts and over-simplifies theories which are in opposition to his own views, setting up what are otherwise complex and sophisticated moral theories as straw men that can be blown over with a few patronizing thought experiments. 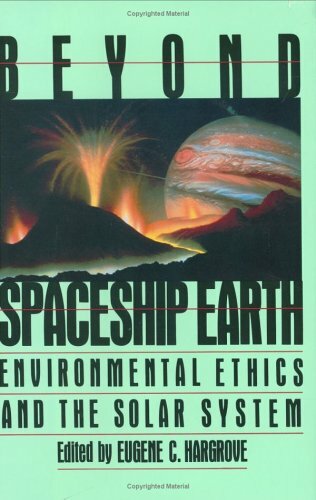 If you are looking for a book to reinforce environmentalist beliefs, then this is your book. However, if you seek to understand environmental ethical theory in a critical, thoughtful setting, you'd be better served by taking your money elsewhere. This book shouldn't be used as a textbook, and should probably be filed under the same propaganda heading as "An Inconvenient Truth". Book has a good amount of wear and tear. Few rips and water damage but completely readable. Shipped fast! According to the introduction, Diversity and Dominion is the fruit of a series of inter-disciplinary lectures which took place at Duke Divinity School in 2005. The motivation behind the lectures was the belief that purely descriptive science is inadequate to protect the environment from continued degradation. What society needs it the coupling of the descriptive elements of science with the motivational power of human-attitudes and values. Since human beliefs encompass a broad range of ideas, the lectures, and resulting articles, centered on Christian beliefs in the American context. Space doesn't permit comments on every article, I have focused on a few articles deemed to be the most significant. William H. Schlesinger's article, Eyes Wide Shut, decries the lack of urgency in the contemporary environmental movement. He blames our passivity on a continually "shifting baseline." Like the proverbial camel, every concession to expanding urbanization is minimized as "it's just an acre" that when seen over time becomes vast swaths of land. Lisa Sideris attempts to harmonize the role of suffering and death within evolutionary development with Christianity's view of redemption and individual significance. Put another way, "How can a good God allow so many creatures to die (as Evolution teaches) for no apparent reason? 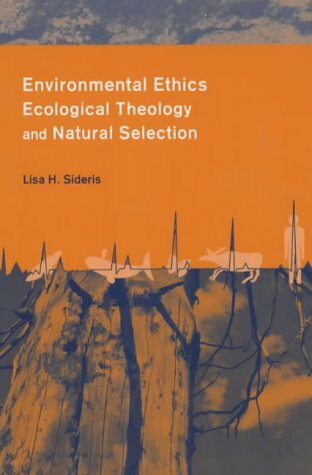 "Sideris suggests two options: 1. the ecosystem is greater than the sum of the individual creatures within it and 2. humans should be humble and recognize that our concerns and judgments should not be the final word on environmental and environmental ethical issues. 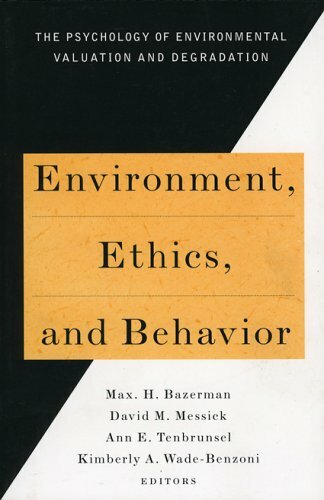 Norman Wirzba identifies the vice of ingratitude as the reason for our continued neglect and abuse of the environment. He notes that years of environmental teaching have failed to produce proper motivation to act on what we know. More importantly, he provides a suggestion as to how schools can work to inculcate gratitude amongst our students. Finally, Michael Northcott accuses Millennial theology for its anti-environmental views. As the most strident of all the articles, readers, particularly those within the Christian Right, should be prepared for a host of critical words. As a Christian, with Conservative political views, I was disappointed at Northcott's simplistic treatment of the adherents of Millennial theology. This is not say that his accusations are completely wrong as I have personally heard comments like, "Why worry about the environment, Jesus is coming soon." However, it is to say that Northcott would have been more convincing if he confronted the thought of the Acton Institute which shares many of the ideas held by Millennialists. I consider myself a rather radical environmentalist (my modest proposal is to ban the construction of new roads), however, I know that liberals are not innocent of loving big corporations (just ask Hollywood, Harvard, Yale, and most universities). The only difference is that liberals love different corporations than conservatives. It seems to me that answer lies in the Christian notion of personal responsibility. Systems mayreduce evil behavior, but evil people can always manipulate the system. The answer still lies in a regenerated heart. 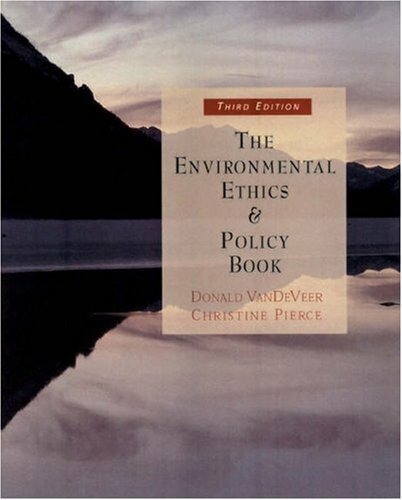 While elements of this book are worthy of engagement, its value was ultimately hindered by trying to address too many diverse ideas (most of which are too abstract to apply) and failing to engage Christians with alternative visions of environmental protection and use. Speaking of the latter issue, the writers of this volume essentially espoused the same mantra: capitalism is evil, the world has too many people, and humanity should stop seeing itself as separate from creation. Perhaps most disheartening was discovering how their appeal to theology was bereft of solid Scriptural reflection and practical application. Encouraging the recognition of guilt for wrongful deeds is important. But without practical ways to 1. Be forgiven that guilt and 2. Demonstrate improved behavior with concrete benchmarks, readers are left with feeling bad and with no hope. 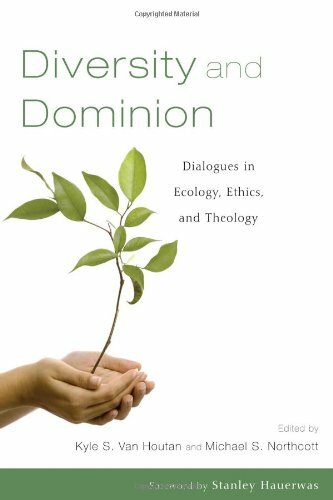 Stephen M. Vantassel, author of Dominion over Wildlife: An Environmental Theology of Human-Wildlife Relations (Wipf and Stock, 2009) is an environmental-theologian who is also an expert in wildlife damage management. He is a tutor of theology at King's Evangelical Divinity School in the U.K.
Zen Buddhism and Environmental Ethics explores the implications of Zen Buddhist teachings and practices for our moral relations with the natural world. 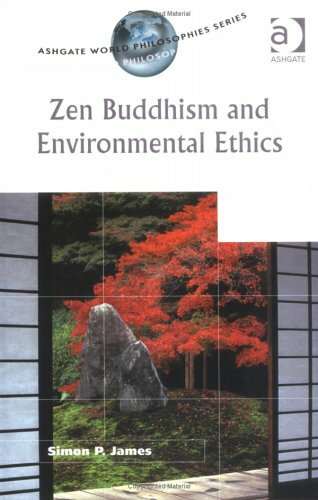 At once an accessible introduction to Zen and an important contribution to the debate concerning the environmental implications of the tradition, this book will appeal both to readers unfamiliar with East Asian thought and to those well versed in the field. 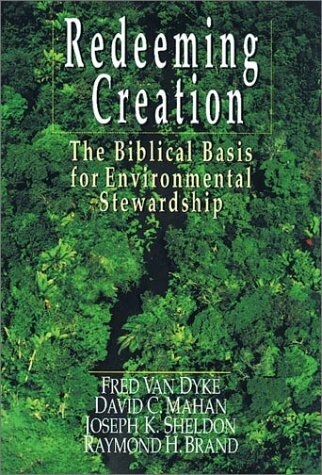 A very thoughtfully written book on the use of scripture to support, rather than trash our environment and ecological systems. Very pleased. This is a subject about which I am passionate.Nevertheless, within the first 20 pages my wife and I both found it almost unreadable.If anyone has finished it, go with their review, but beware, this book works like Sominex! This is without exception, the best book I have ever read giving evidence of the immortaility of animals but also the crucial need for man to start taking our responsibility in caring for creation as God so instructed and commanded us to do. This book will shock Christians, environmentalist, and anyone who does not know the real truth about what is happening due to the sins of man and the plight of all creation both man and beast if man does not change our ways. The attitude that "Well Jesus is going to return anyway" is a selfish and sinful excuse. What we are leaving our children is hopelessness should we not make some simple self-sacrificing changes in our life style in the way we treat creation and view the Creator of all.